We are a unique Catholic Primary School offering educational opportunities to residents of Australia and overseas students. Ours is a Catholic primary school in the parish of Christ the King. It is a double stream school (two classes at each year level) with specialist teachers supporting the classroom program in Physical Education, Performing Arts, Library, Information and Communications Technology (ICT) and Italian. The school was opened in 1903 by the Sisters of the Apparition with an enrolment of 73 students. That enrolment has grown to 440 students. As the school outgrew its site adjacent to the church, the opportunity was taken in 1997, to relocate the school to the former secondary site of St Brendon’s (more recently, Seton College). Over the decade 1997-2007, seven building stages saw the secondary site transformed into a fully functioning, well resourced primary school. Ours is a RAISe school (Raising Achievement in Schools) with a focus on best practice to ensure continual improvement in standards, particularly in literacy and numeracy. Dedicated literacy and numeracy time, a professional learning community of staff and data driven instruction are some of the RAISe initiatives. Christ the King School has a special commitment to children with disabilities. We enrol children into our regular classes and support them with part-time placement in our Learning Centre. We also provide opportunities for individual tuition in music. From year three upward, children can choose to learn piano, key-board, guitar, saxophone, clarinet, violin and vocals at school. We welcome enrolment enquiries from families seeking a comprehensive curriculum in a caring school environment. 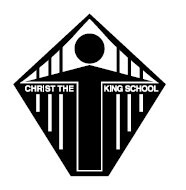 International students are also welcome to enrol at Christ The King School.